Here is a fun song from album Good For Your Soul called "Nothing Bad Ever Happens To Me". The video is realy great, and actually reminds me a bit of some of some the Die Antwoord videos/film. I wonder if Oingo Boingo was a source of inspiration? I also think the lyrics in this song hold up when considering how people present sanitized versions of their lives on Facebook. Anyway… here is the video http://youtu.be/qpjHW4mr6qo. 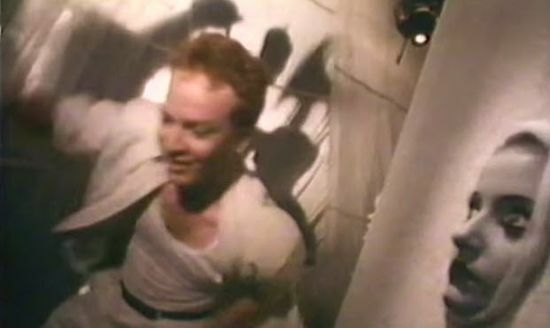 More Oingo Boingo video goodness at the Boingo Vision YouTube channel. Lots more Oingo Boing info over here http://en.wikipedia.org/wiki/Oingo_Boingo. Check out Danny Elfman's IMDB listing here.